As a monumental year for the micronational community draws to a close, it’s time to reflect on what hit the headlines in 2012. In a year that saw massive cultural growth in Sirocco, the rise and fall of nations and tragedies and successes alike, the Sirocco Times presents its third Year in Review, and what a year it’s been! PROTEST: The Sirocco Times blacked out to protest proposed internet regulation bills. 2012 started in a strange fashion for Sirocco – it did it twice. Decreed as such a good year by Premier Daniel Anderson, 2011 returned at 10:45pm on January 1/December 31 before changing to January 2 at midnight. There was widespread shock when it was reported that the Alston Aerial was due to be demolished (despite it now looking set to enter 2013 still standing as tall as ever) and outright scandal when Anderson attacked the newly-created Theodorist ideology the very day it had been created. The community shut down on the 18th to protest the proposed SOPA and PIPA acts in the United States (the Times included), and the following day the first film and broadcasting classifications were introduced by the Office of Film and Broadcasting Classification. The month was rounded out by the passing of the Relationship and Sexual Activities Act 2012, which outlined marriage and a broader understanding of gay rights in Sirocco. In a rather quiet start to the new year, the only event of significance was the merger of Orly and Wilscland into the Kingdom of New Wessex on the 14th. Throughout 2011 the governance of the Tsardom of Orly became an increasingly complicated system of vassal and local monarchs, so in January 2012 these were abolished and reformed to make things less complicated and to promote unity between two of the Emperor’s realms. February began with the first Demand Improvement Day, designed to parody the protests held annually on Waitangi Day, beginning with the demands for a full Auckland-Whangarei motorway to be constructed. The month also saw one of the biggest changes in Siroccan government with the dissolution of the Board of Ministers and the establishment of its replacement, the Siroccan Executive. Chaos reigned on MicroWiki when former administrator Aldrich Lucas vandalised MicroWiki and the Forums before leaving the community. The damage was undone and TASPAC issued a statement expressing its anger at his actions, but it only served to further weaken an already sliding organisation which today is all but dead. SHOGUN: Nicholas Woode-Smith became one of Sirocco’s most notable politicians when he merged Zona into Sirocco in March and founded the Libertarian Party in June. March was dominated by the merger with Zona on the 21st. After Zona voted to join Sirocco over A1, hard work went into organising the merger of the states via the Dominion of Zona Act 2012 until Sirocco finally absorbed Zona as three provinces. However despite the euphoria, Alston was threatened at the end of the month by a group of unruly teenagers that were only stopped from crossing the border fence into the Tent Pegs National Forest after a tense standoff with the Siroccan Defence Forces. Sebastian Linden and Michael Sander both resigned as MicroWiki administrators after users made their roles hard to manage. Linden would stay on in the community, but Sander would soon leave micronationalism altogether. The Times led the charge on April Fool’s Day with the introduction of a fictional socialist party which folded the following day, much to the shock and surprise of the left and right in the community. Further into the month the Sirocco Times and the Siroccan Broadcasting Corporation joined with several other micronational media outlets when it was accepted into the Micronational Press Council, and just a few days later both were granted licenses to utilise the government’s new computer, dubbed the “Diesel 386” (although it was today renamed the “Atomic86”). An inspection of Auckland’s tram loop and Blacksands’ admission into Sirocco rounded off a newsworthy month for the country. Scandal erupted when the Intermicronational Treaty Organisation (IMTO) became embroiled in its own dissolution. In an attempt to kill off the organisation, which according to then-IMTO Secretary-General Casey Hamlin was “like a sick dog”, Hamlin conspired with St.Charlian member Riley Small to force Lostislandic representative Yaroslav Mar to leave so that dissolution could occur. Major infighting on the 11th saw Lostisland leave in disgust and Hamlin’s dissolution of the organisation. MicroWikia was also adopted by controversial micronationalist Harshvardhan of Aryavart, who promptly banned MicroWiki site owner Pierre d’Egtavie for 5,000 years. The community’s socialists took notice when Sirocco introduced a welfare scheme on the 5th for struggling nationals, but soon it was one of their own under attack in one of the most controversial Commonwealth Avenue columns published to date. Despite their euphoria at the introduction of the Commonwealth Assistance Programme, they were soon to be disappointed when New Zealand Prime Minister John Key graced the new 2012 series §5 banknote after its overhaul that month. Prominent A1ian Gordon Freeman left the community after rival micronationalist George Cruickshank released private details about him. Cruickshank soon found himself somewhat of a pariah with MicroWiki members, and it is only recently that Freeman has returned to the community as a journalist. A rather quiet month all up, June was notable only for the establishment of the Siroccan Libertarian Party on the 9th. Currently Sirocco’s only opposition party, it has been noted that ironically the government and opposition are both right-wing, although at differing points on the spectrum. It was a month of celebration in Sirocco when the tenth anniversary of the start of the Maran District, Sirocco’s predecessor which existed from 2002 to 2007, was observed with the annexation of land and the construction of highways. There was also celebration in the Auckland province of Wellesley when it shifted from Brookfield to Havilland at the end of the month. GATHERING: July saw the largest grouping of micronationalists ever held. Picture courtesy James Puchowski. PoliNation 2012 was the highlight of the year for micronations across the globe. With dozens of attendees representing dozens of micronations, it was the biggest micronational convention ever held. Also of note was Prsänëa, one of A1’s more notable republics, abandoning ship and forming a Grand Duchy in the middle of the month. Sirocco joined other scientific micronations with the establishment of the Institute of Scientific Research on the 5th. Set up to assist in searching for extraterrestrial life, amongst other things, it brought the nation into the scientific circles occupied by Egtavia, Renasia and Erephisia. It also joined the leagues of sporting micronations when it put in the first bid to host the 2012 Intermicronational Olympic Games. Zealandia kicked off the month when it underwent the Winter Revolution and emerged as the Federal Republic of Zealandia, bringing an end to the nearly two-and-a-half-year-old monarchy. Micronational meetings continued in August when Crown Prince Jonathan and Pierre d’Egtavie visited James Puchowski, and later when Puchowski and Jonathan joined Alexander Whitmarsh, Hakon Lindstrom and Rebecca Panks for a visit to the British Museum – Lindstrom being in London to support his sister Amanda, who was competing for the Australian Paralympic swimming team. Also of note was the Grand Unified Micronational’s 24 Hour Quorum, a charitable event with at least five people in the room at all times. £80.95 (§99.23, NZ$158.78) was raised and donated to various charities. Former MicroWiki superpower A1 finally collapsed after months of inactivity, with its populace wandering off in search of new endeavours. After a hard-fought campaign, Sirocco won the right to host the 2012 Intermicronational Olympic Games off contenders from around the world, winning the right to continue the biennial tradition started by Molossia in 2000. There was also a massive shakeup when the Constitution was retired at the end of the month due to its obsolescense – a replacement is planned for sometime in 2013. There was an expression of sympathies when Theodian Minister of Foreign Affairs Axel Neilson took his own life. Family and friends were stunned, and micronationalists from all walks of life came together to express their heartfelt grief. The Siroccan economy was greatly bolstered by the first export of Siroccan foodstuffs at the start of the month, and currently as summer rolls on many Siroccans are enjoying the best of Siroccan produce. In October the Castor Dependency also shrank when the Mill Bay Dependency was officially formed on the 17th. Tragedy was to strike on the 12th when the father of micronationalism, Prince Roy of Sealand, passed away aged 91. His passing was marked by an outpouring of grief from micronations across the globe and the shining of the international media spotlight on his life and micronationalism. Tragedy would again strike when former Emperor Mother HIH Dame Betty Austen died on the 12th. The month would end a bit brighter with the introduction of the A1 News Service’s fortnightly quiz, which has today become a very popular challenge for those both within and outside of the micronational community. Originally starting with five questions, it has grown to ten due to popular demand. Sirocco celebrated its second anniversary on the 4th, rounding off another year of massive growth for the nation. 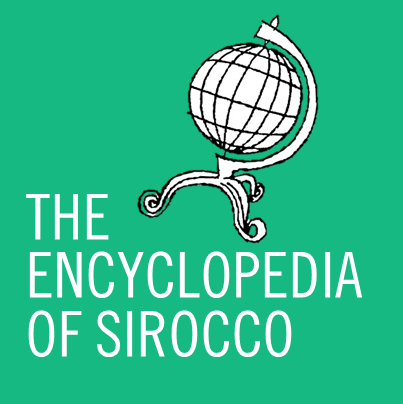 The first month of Sirocco’s third year also saw the observance of an eclipse, the voting of Sirocco as the fifth-most influential nation in the community and the premiere of the third season of Micro High, which while mostly lauded, did not impress everyone. MicroWiki went into chaos when a drunken Pierre d’Egtavie decided to shut down the site, only to go back on his decision a short time later. And in one of the Times‘ most popular articles this year, Zealandian President Hakon Lindstrom publicly shunned communism and voiced his support for Scandinavian social democracy. In a huge month for the Times, we reported on the foundation of Sirocco’s aid agency following the devastating Hobsonville tornado, the announcement that Sirocco would be breaking with Olympic tradition and holding the seventh Games in 2013 following inactivity, the introduction of Sirocco’s Atomic Calendar, the bizarre accusations of a Melburnian man claiming Sirocco had broken British Commonwealth law (although he later admitted he’d got it wrong) and the survival of the nation through Doomsday. One of December’s most-read articles was the proposal of rehabilitation for former USLSSR political enemies. Later in the month, Wyvern got itself in hot water with the GUM, and today both Juclandia and Sandus were expelled from the organisation in somewhat unfair circumstances. MicroWikia also collapsed in spectacular fashion with the migration of many users to MicroWiki after accusations of staff spying. The year also ended on a sad note for Wyvern after their beloved General-Admiral Bowie died at the age of 16, just days before Wyvern declared war on the European Union for various transgressions. So what are your thoughts on 2012? Was it a monumental year or a spectacular failure? Did we get it all or did we leave vital events out? Leave a comment below and tell us! Our thanks to the A1 News Service, the St.Charlian Observer, the Austenasian Times, Hakon Lindstrom, James Wilary, Quentin of Wyvern, Crown Prince Jonathan and many other members of the MicroWiki Forums for their help in compiling this article. You might also be interested in our 2010 and 2011 editions.